The Eleaf iCard Starter Kit powered by built-in 650mAh battery, the iCard is very simple to use. Just fill with your favorite e-liquid and click the fire key and enjoy an amazing vaping experience! The iCard comes with a 2ml cartridge and all-new ID 1.2ohm coil head. The protective mouth cover on the top provides a nice clean vape every time. 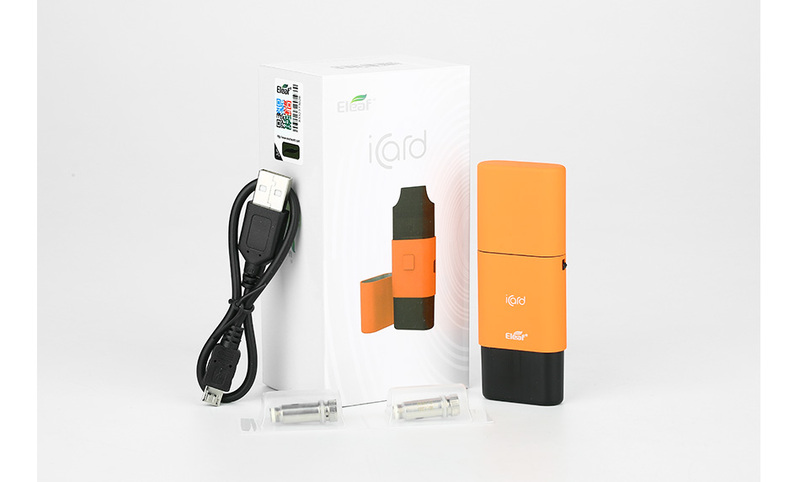 The portable size and easy operation makes iCard a necessity for all starter vapers! This is guaranteed to be one of your favorite new pod starter kits on the vaping market.